Leveraging our valuable partnership with VMware®; an industry leader in virtualization, Avaria provides a full suite of virtualization services including UCC solutions. 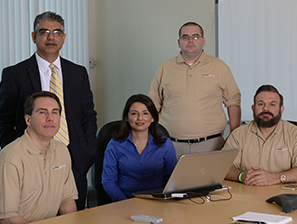 From virtual servers, to virtual desktops and phone systems, Avaria has your business covered. It’s easy to begin virtualizing right now. The first step is to contact Avaria and request an assessment and demo of these systems in production. The benefits of virtualization services are nothing short of dramatic. The heart of virtualization is the “virtual machine” (VM), a tightly isolated software container with an operating system and application inside. Because each virtual machine is completely separate and independent, many of them can run simultaneously on a single computer. A thin layer of software called a hypervisor decouples the virtual machines from the host and dynamically allocates computing resources to each virtual machine as needed. Many applications on each server. As each virtual machine encapsulates an entire machine, many applications and operating systems can run on a single host at the same time. Maximum server utilization, minimum server count. Every physical machine is used to its full capacity, allowing you to significantly reduce costs by deploying fewer servers overall. Faster, easier application and resource provisioning. As self-contained software files, virtual machines can be manipulated with copy-and-paste ease. Virtual machines can even be transferred from one physical server to another while running, via a process known as live migration. You can also virtualize business-critical apps to improve performance, reliability, scalability and reduce costs. Virtualizing one or two servers is just the beginning. The next step is to aggregate a server cluster into a single consolidated resource. For example, instead of 20 servers running at 15 percent of capacity each, you can reduce your hardware count—and associated costs—to four servers, each performing at 80 percent. VMware enables you to deliver secure virtual desktops as a managed service for remote and branch office employees. Our virtual desktop solutions increase business flexibility, simplify management and reduce your costs. Capacity expands and contracts as needed. Applications can be provisioned on-demand. Every application is assured of the right levels of performance, compliance and security. IT can shift resources and budget away from infrastructure management and maintenance, toward creating innovations that give your company an edge. By running multiple operating systems and multiple applications on the same physical server, virtualization services let you reduce costs while increasing the efficiency and utilization of your existing x86 hardware. Reduce capital and operating costs. Server consolidation lets you get more out of your existing hardware by running multiple virtual machines (VM) on a single physical server. 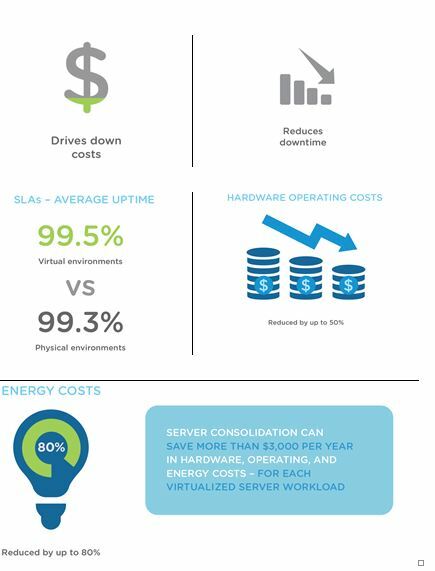 Fewer servers mean lower capital and operating costs. For the most cost savings, make sure you go with a virtualization solution that has the highest VM density per host. Deliver high application availability. Integrated availability and fault tolerance protects all your virtualized applications. Should a node or server ever fail, all its VMs are automatically restarted or continued on another machine, with no downtime or data loss. Improve business continuity. 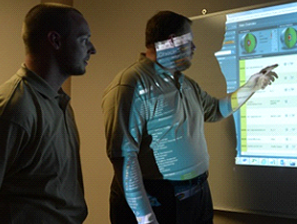 Virtualization makes it easier to survive unplanned potential IT disasters. You can move VMs from one server to another in a different location. Increase IT productivity. Streamlined and automated management tasks mean you’ll spend less time on maintenance and more time on innovation. Improve responsiveness. Virtualization lets your business scale rapidly because you can deploy desktops, applications and servers quickly and flexibly. It’s easy to begin taking advantage of virtualization in your business right now. The first step is to contact Avaria & request a quote and demo of these systems in production.